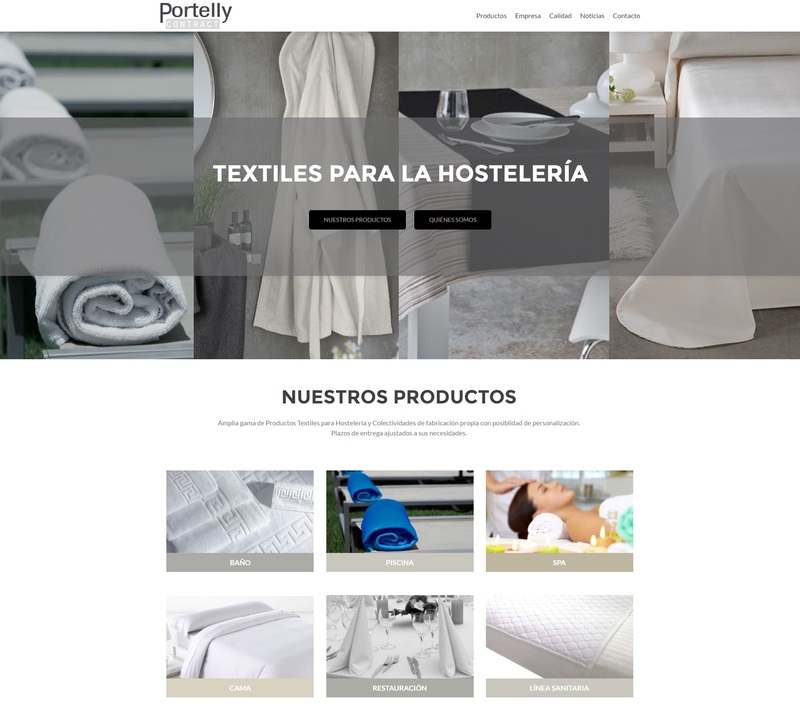 With a user-oriented design and simplified navigation, the new Portelly website renews its commitment to the customer. In addition, it is optimized for mobile devices and connected to social networks..
We like to continuously improve. Only in the attempt to be better every day can we constantly renew ourselves so that the service and the quality as always, answers the needs of our clients. With this conviction and the desire to be always more and better communicated, we are pleased to present our renewed website. We want our customers to save time, enjoy the walk through our catalogue of products and find a practical and useful answer in their search. The re-launch of our website accompanies a set of actions that we are undertaking to offer a quality product to our customers every day. The constant innovation in the productive processes and the optimization of our delivery times are just some samples of how our work translates to your satisfaction. Because, in short, it’s not just a design renewal. It is a renewal of our commitment to the client.